Are you tired of the same old resolutions like “Exercise More” and “Eat Less”? The Kraemer Yarns team created a few ideas with a crafty spin we hope will inspire you! Take a look through your yarn stash. Do you have a special skein of yarn, say Sterling Silk & Silver, that you have been saving because “It’s too special”? 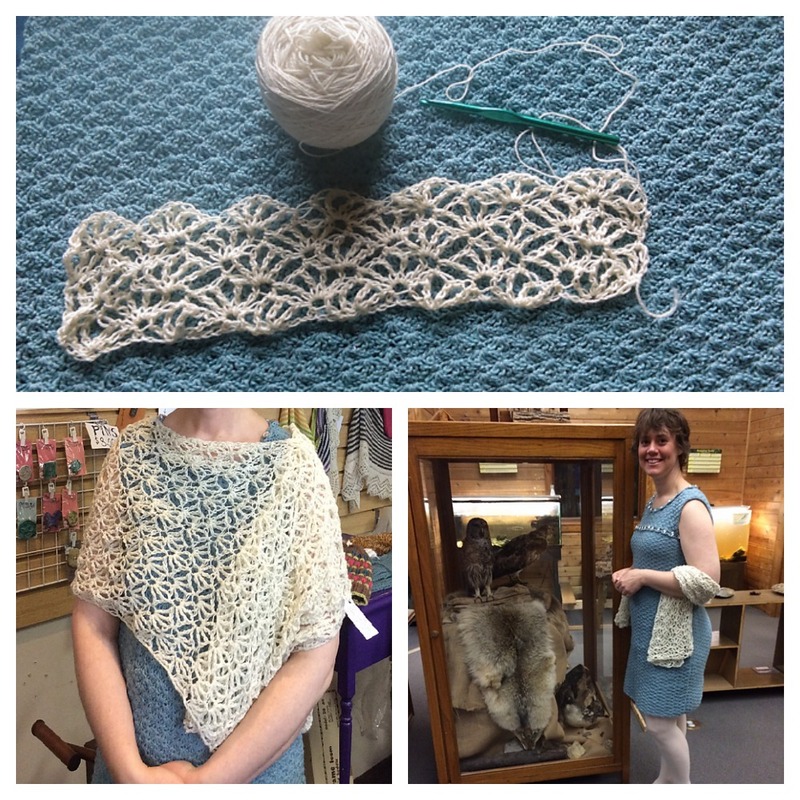 Wouldn’t you rather enjoy knitting or crocheting with that special yarn and then be able to wear it and show it off? If the yarn is in your stash, no one else will know how wonderful it is to you! Earlier in 2016, we shared LaTomBoye’s vintage crochet set in Sterling Silk and Silver. Take stock of any works-in-progress and half-done projects that you haven’t worked on in a while. Knitting and crochet are meant to be fun, and if the project has stalled, take a moment to figure out why. 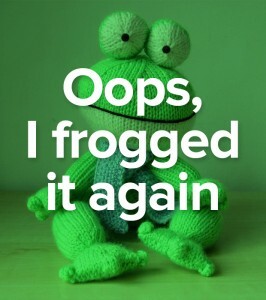 Then you can fix it, finish it, or frog it! 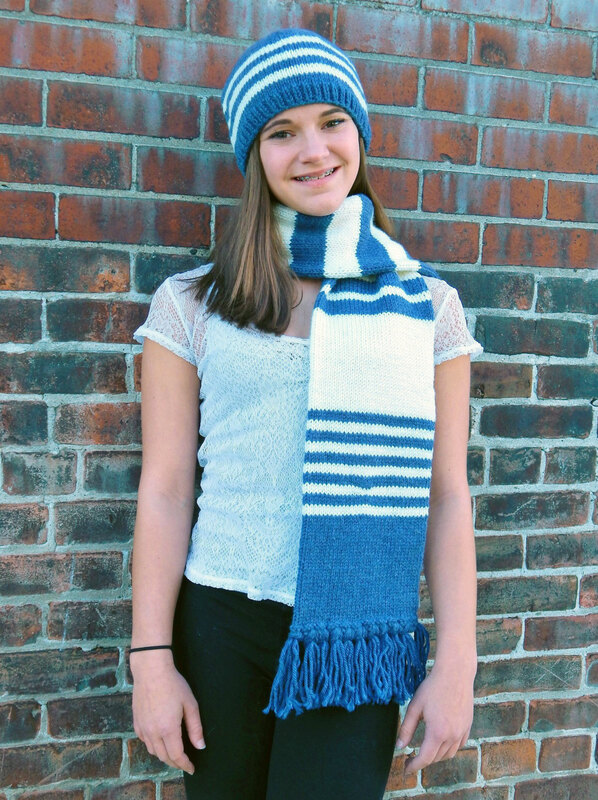 There are so many charities that would love to have you contribute your skills to making a hat or scarf! 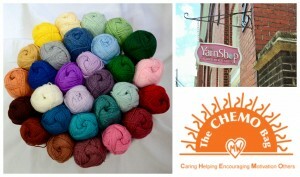 A few causes that we like to knit and crochet for include the CHEMO Bag project and Little Hearts, Big Hats. Here’s a tip – make sure you know the yarn requirements that are needed! Hats for cancer patients or newborns are usually asked to be cotton or acrylic blends. The yarns from the Tatamy line are great choices! Take your skills to the next level. Try a cable pattern, colorwork, socks, or lace if you haven’t before. If you are comfortable with knitting, pick up a crochet hook and try out a crochet facecloth or stuffed toy. Perhaps you have an idea for a design that you think would be fun. Try your hand at dyeing one of our Natural skeins! Take a look at KnittingSarah’s blog to see her experiments with our Natural skeins and KoolAid! 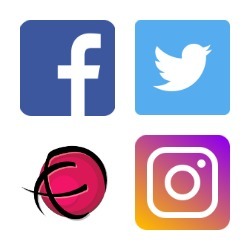 Connect with us on your favorite social media channel – we’re on Facebook, Ravelry, Twitter and Instagram. We love to see photographs of your work and to share them with our customers and friends. Sharing your talents may inspire someone else to give it a try. We’re here to answer your questions, cheer you on, and offer help. If you’re stuck on a stitch or technique, let us know! Perhaps we can create a tutorial to help you out. Let’s have a wonderfully creative year!